Motivated Seller! Reduced again! Peaceful and quiet with a view! Enjoy this 2-story country home, privately tucked away on 4.5 acres yet just a few minutes to the Village of Tannersville. 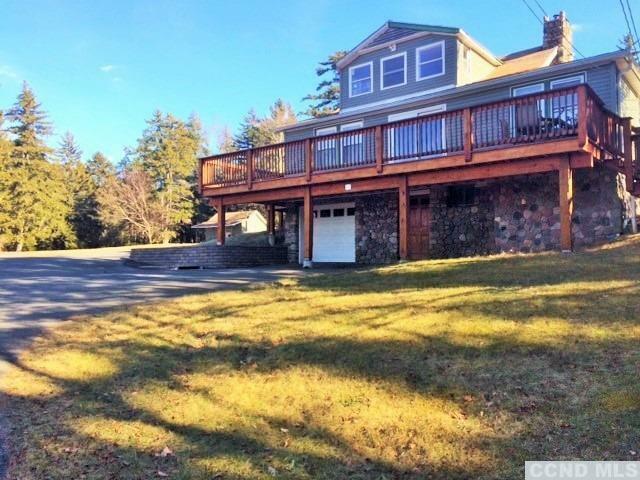 300ft paved asphalt driveway, beautiful hardwood flooring and deck overlooking stunning views of Hunter Mountain. Yard for playing, stone patio and fire-pit for entertaining. Short drive to Hunter Mountain Ski Resort and 15 min drive to Woodstock. New low price!! ALL offers welcome!